One of the most important moments in a company, big or small, is the moment it launches a product. Getting the right target audience, finding the ultimate launch platform, and utilizing the most compelling messaging to reveal your product is never a simple task. If you thought this would be a breeze, then are you in for a wild ride. But, thankfully this guide is here to help you. Along with advice on where to even start, this guide will give you a step by step process for each phase within the launch. 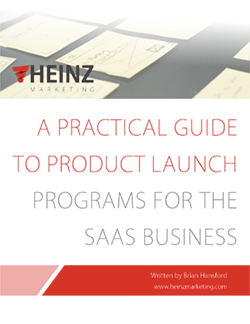 Download now to learn more about product launching.